How did the piano get its name? Why can’t you “reach” a crescendo? Who invented opera—and why—and how do you pronounce “Handel”? 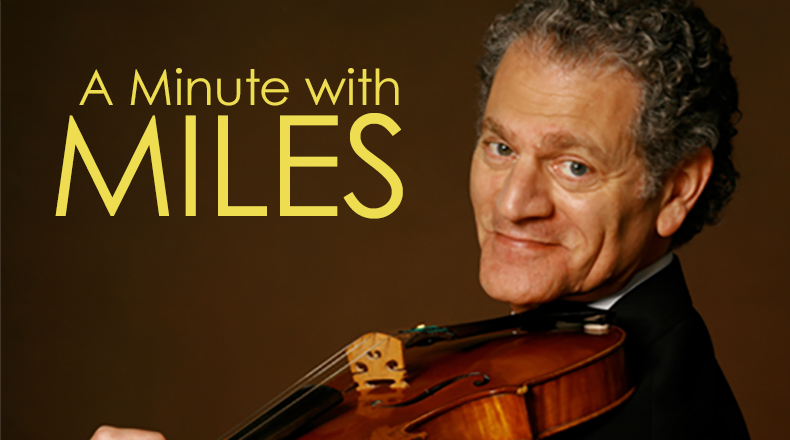 These and countless other classical music questions are answered on South Carolina Public Radio’s A Minute with Miles. 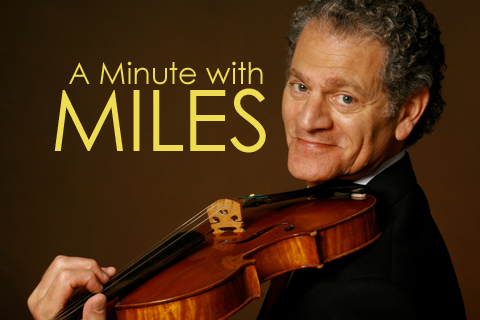 Hosted by longtime NPR commentator Miles Hoffman, the segments inform and entertain as they provide illuminating 60-second flights through the world of classical music. I heard two remarkably gifted young musicians play the other day. One was a nineteen-year-old pianist and one a sixteen-year-old violinist. And it was pretty humbling, because when I was nineteen I wasn’t nearly as accomplished as either the nineteen-year-old or the sixteen-year-old. But I didn’t quit when I was nineteen, or even when I was in my early twenties and only too well aware that I was still far from a finished product… and eventually I was able to make a career as a professional musician. Today, I thought we’d take a metallurgical tour of the orchestra. The bars, for example, of glockenspiels and celestas are made of steel. So are some of the strings of stringed instruments, and almost all strings are wound with very fine wire made of steel, silver, or aluminum. The bodies of timpani are made of copper, and brass instruments are made of… well, brass, which is an alloy of copper and zinc. Have you ever seen a lefty violinist? I’ve heard of a few, but in my whole life I’ve only met one string player who holds the bow in the left hand and the instrument in the right. I don’t really know how the tradition of playing “righty” got started, but it hasn’t changed for hundreds of years. Why can’t lefties just reverse the strings and play the way they like? Well, it’s not that simple. The members of the violin family—the violin, viola, cello, and double bass—are made of wood. But on any one instrument you may find four or even five different kinds of wood. The top, also called the “table,” or “belly” of the instrument, will be made of spruce—a strong, light, but soft wood. The back, and the sides—which are also called the ribs—will almost always be made of maple, which is a very hard wood. Did I ever tell you that I once won ten dollars from Leonard Bernstein? When I was a student at Juilliard I learned the Viola Concerto by William Walton, and one evening I played through it for my violinist friend Alexis Galpérine. Alexis noticed that the Walton reminded him very much of the Violin Concerto in D Major by Sergei Prokofiev, and on closer examination we saw that there was no question that Walton had indeed patterned his concerto directly after the Prokofiev. For at least six hundred years, composers have been borrowing the melodies of folk songs and incorporating them into their compositions. And there’s a good reason: they’re good melodies; they’re melodies that have stood the test of time—that have never lost their hold on people. Performers are always seeking the most effective and compelling ways to bring a composer’s musical ideas to life. I stress the plural, “ways,” because there’s never just one way. Some musicians sometimes forget this, unfortunately, but the best musicians, and the best teachers never do. When I was a graduate student, the string quartet I played in was working on a Bartók string quartet, and our faculty coach was Robert Mann, founder and first violinist of the Juilliard Quartet. I had the enormous good fortune as a young man to get to work with the great cellist Mstislav Rostropovich. Rostropovich, or “Slava,” as everybody called him, was the music director of the National Symphony Orchestra when I played in that ensemble, and with all his other engagements he still somehow made time to give master classes just for members of the orchestra. In the world of instrumental and vocal teaching, most teachers approach their students with certain basic principles in mind. For me, one of those principles is that whether we’re dealing with individuals or with ensembles, there’s no separating technical goals from musical goals. I don’t believe, in other words, that it makes sense just to learn the notes first and then somehow to “plug in” the music later. One of the things I’ve learned as a string teacher is that good habits can often replace a student’s bad habits quickly, because the good habits make playing easier. But it was Mark Twain, strangely enough, who helped me to realize that the switch can only result from a very conscious and rational process on the student’s part, a process of understanding and acceptance. Today is the birthday of George Washington, so I thought I’d talk about… Alexander Reinagle. And in case this doesn’t seem like the most obvious choice to you, I’ll explain. In 2004 the Vatican Museum presented an exhibit called “The Colors of White.” What the exhibit showed, in a nutshell, is that our notion that the beauty of ancient Greek and Roman statues lies in their pure, white form is a relatively modern idea, with no basis in historical fact. Scientists working with electron microscopes discovered vestiges of all sorts of bright paint colors on ancient statues, colors that to modern eyes seem hideously garish, and the curators of the Vatican exhibit commissioned reproductions that were painted with those colors. In 1918 the music critic Olin Downes published a book called The Lure of Music. It’s a collection of biographical sketches of famous composers, and it includes listening suggestions, samples of the composers’ works on Columbia records. Most of the composers Downes writes about—people such as Verdi, Chopin, Berlioz, Dvorák—are among the immortals… They were famous then and they’ll always remain famous. But what’s fascinating to me is that I know hardly any of the performers’ names on the recordings.